How can travel agencies survive in a world where it has become so easy to be our own travel managers? How can travel agencies survive when more and more tourism corners of the world have become accustomed to foreign visitors and set up an infrastructure that makes it visitor friendly for individual travelers? And how can travel agencies survive when most travelers have all answers to their destination questions in their very own pocket? 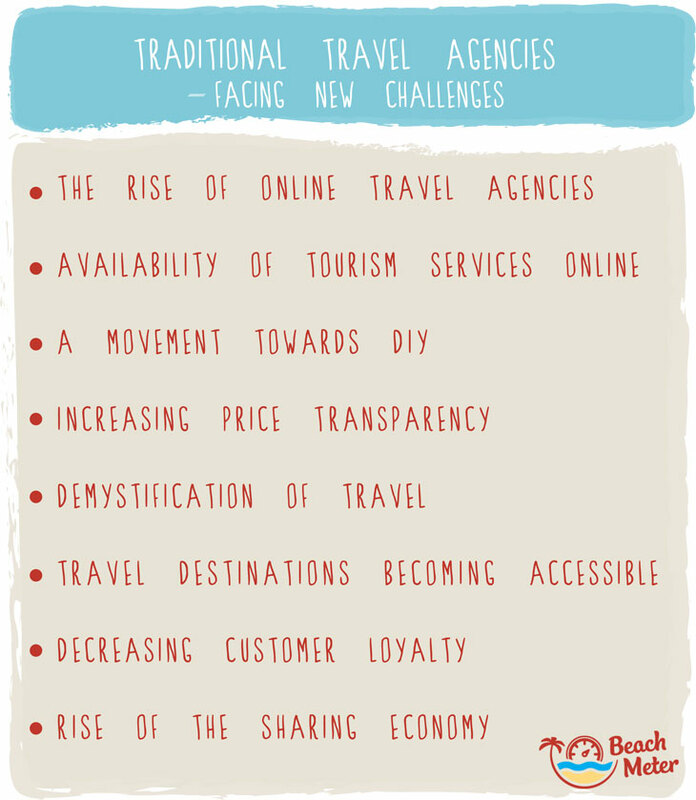 Let’s look at some of the trends within the last 10 years that has made it really hard for travel agencies to increase, let alone, maintain their customer base. Ouch! Travel agencies are being bombarded from every angle. The challenges facing travel agencies worldwide has forced many many of them to downsize considerably or even throw in the towel and close down because of the mentioned challenges. Travel agencies can no longer rely on a loyal customer base, and the days where customers would use their local travel agent around the corner are long gone. A handful of huge Online Travel Agencies (OTA’s) or booking portals have got a firm grip on customers with user-friendly booking flows and great prices. How do you compete with that? While the number of travel agencies worldwide has been reduced, some agencies seem to have found the key to surviving, and new travel agencies opening up their doors, ready to face the challenges. Not all development is going against the survival of travel agencies either. For example, the two trends that 1) the potential customer base is growing – people from all over the world generally travel more, and 2) there is a growing segment of customers whose requirements and wishes are becoming increasingly specialized, presents opportunities for travel agencies. So what can you do to survive and even thrive as a small or medium sized travel agency? Follow Beachmeter.com as we explore The Survival of Travel Agencies in our upcoming post. Previous postThis is Thailand’s Most Beautiful Island! Many people still rely on traditional travel agents instead of planning their vacation with self-sense. It`s better to use modern alternative methods of traveling and travel services such as meetngreetme.com. Concierge services from locals to world travelers which help to save time and money for things that really matter.